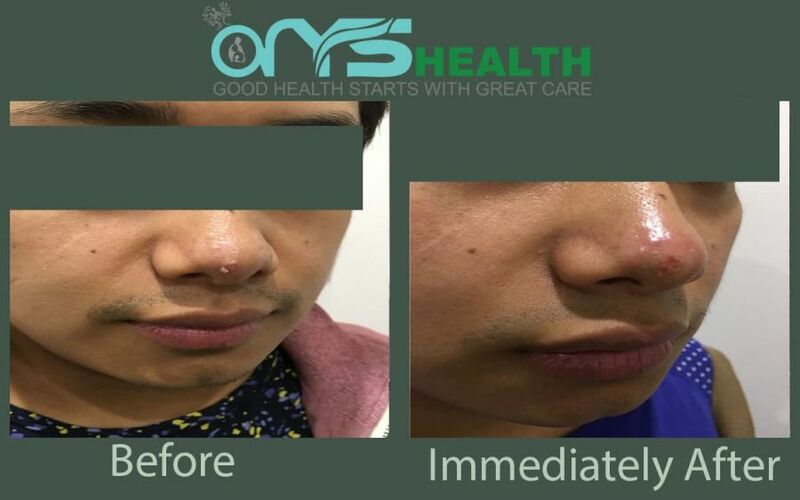 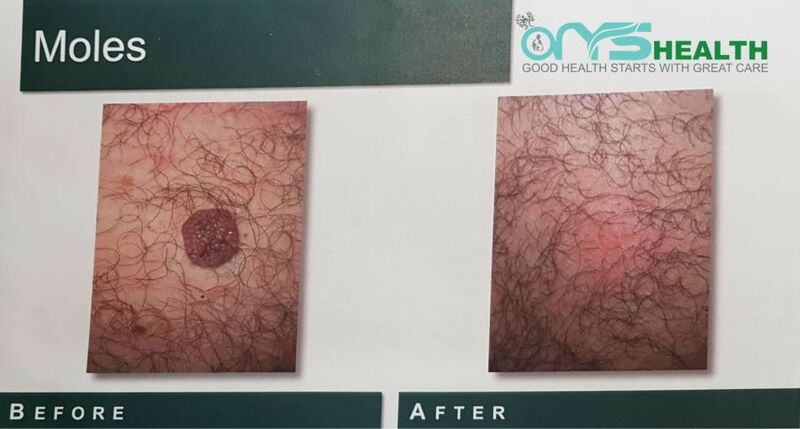 Mole Removal Sydney CBD, If you’d like to remove unwanted moles and skin tags with no or minimal downtime, we offer simple, non-invasive options with best cosmetic and clinical outcomes, without any cutting or sticking. 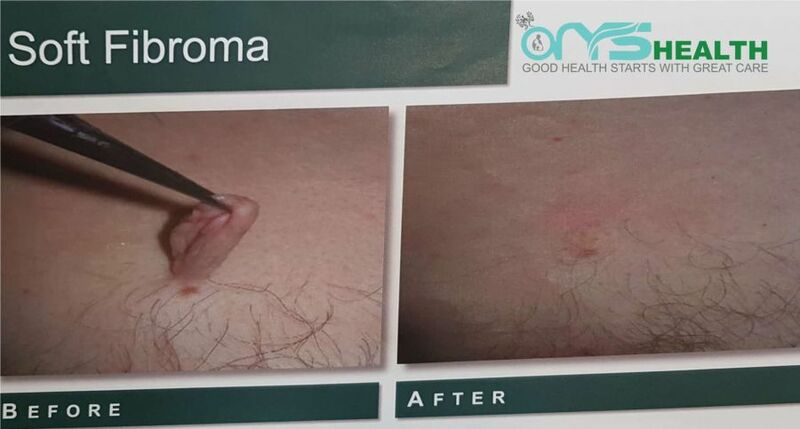 The procedure is fast and effective. 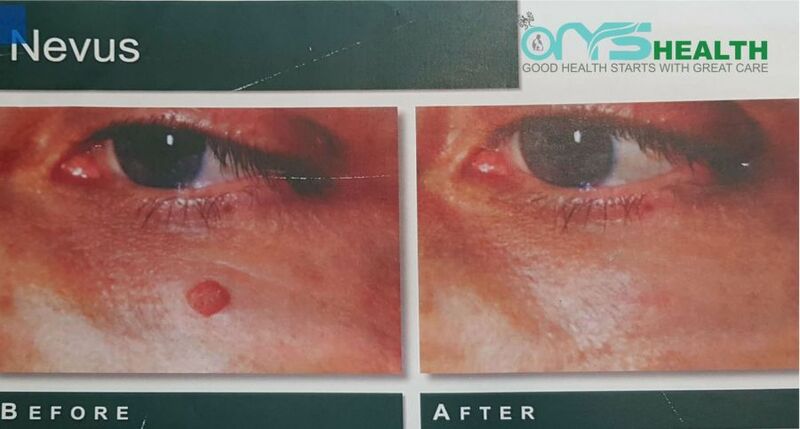 It is suitable for all skin types as we use radio frequency technology. 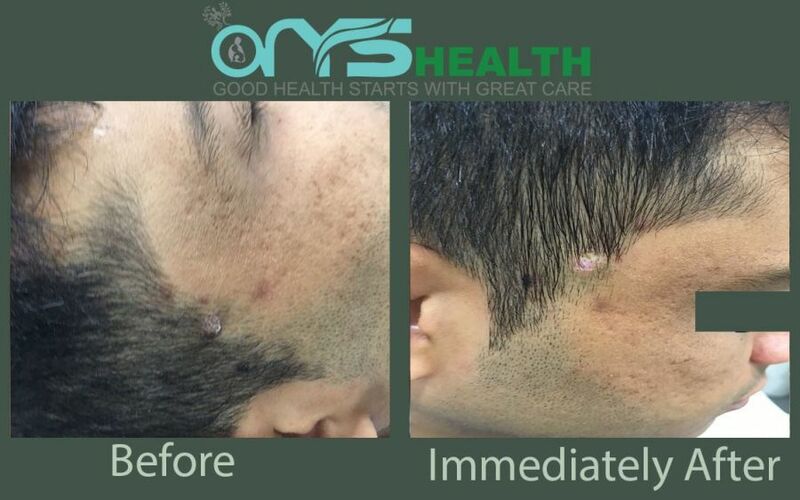 This technology is compatible with all body parts including face, scalp, lips and mouth, neck, arms, chest, etc. 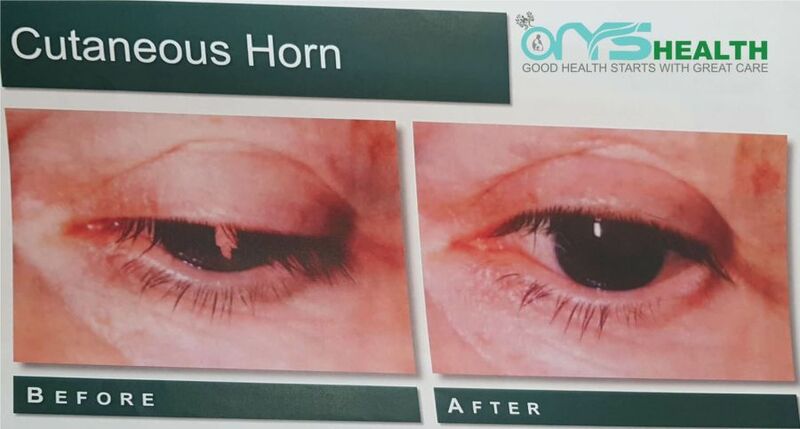 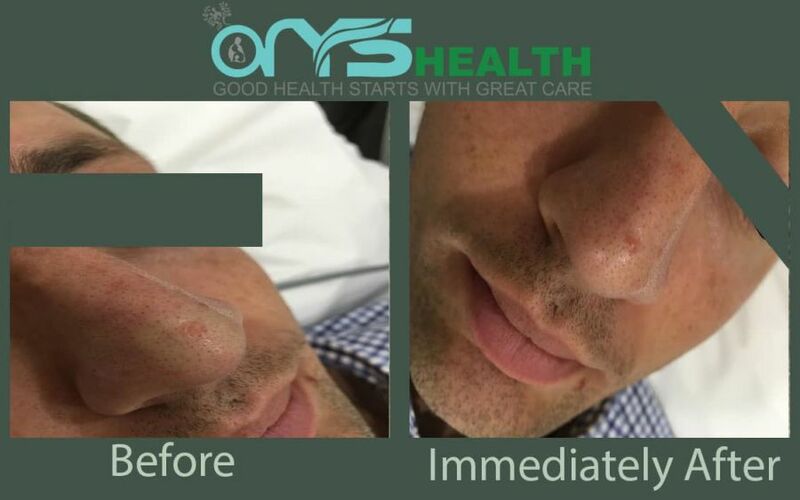 It is affordable and does not require any sedation or general aesthetic. 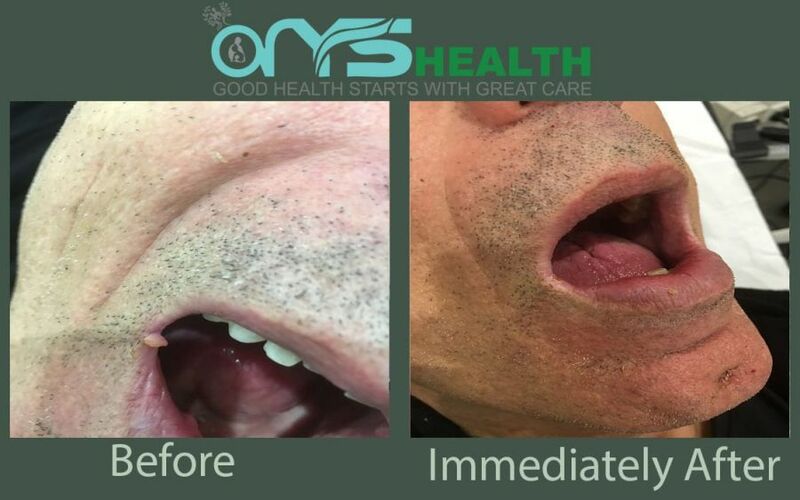 Please watch before and after pictures below. 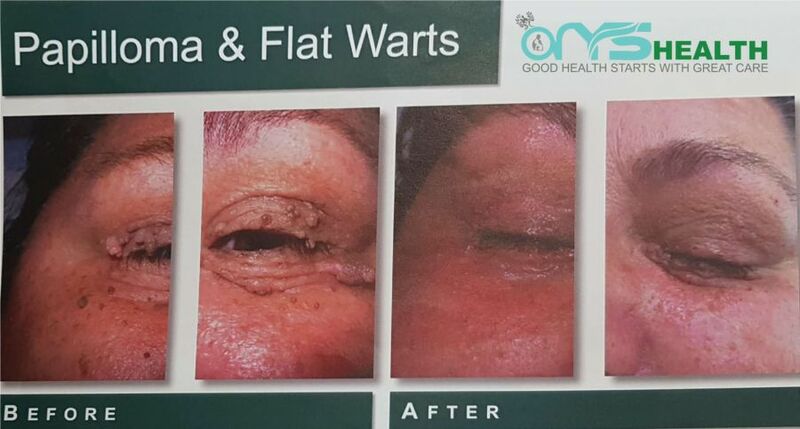 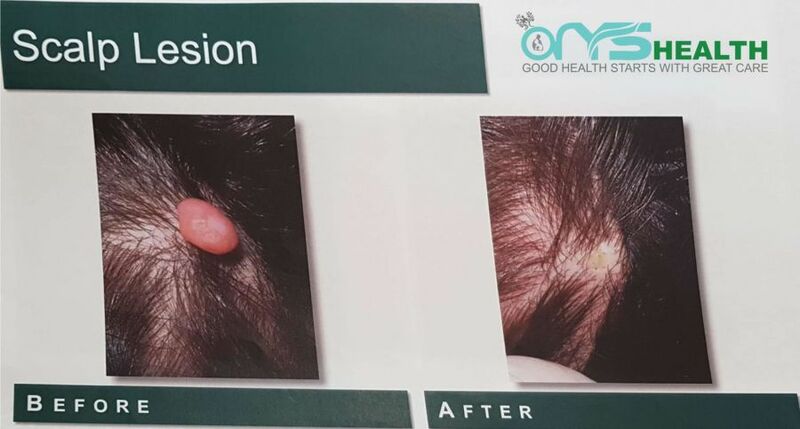 Treatment options include moles, skin tags, seborrhoeic keratoses, senile warts and other raised lesions. 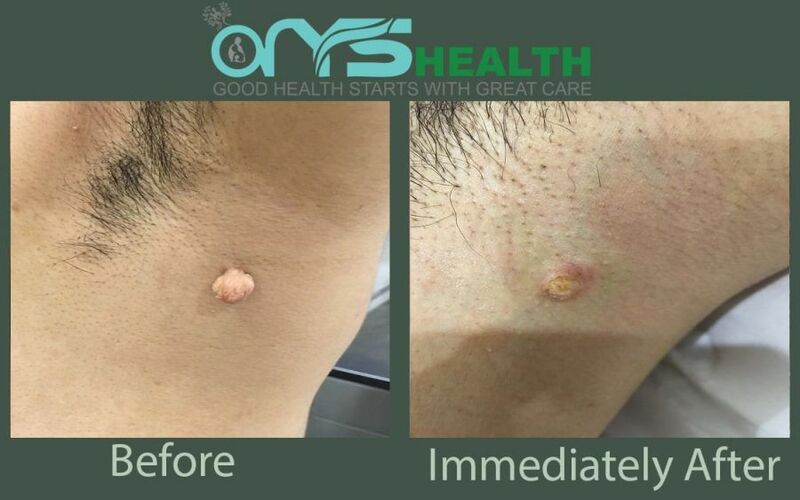 We can remove moles from almost anywhere in the body: face, armpits, breasts, neck, etc The technique we use is particularly useful for facial growths and fleshy growths called skin tags and dilated capillaries like haemangiomas. 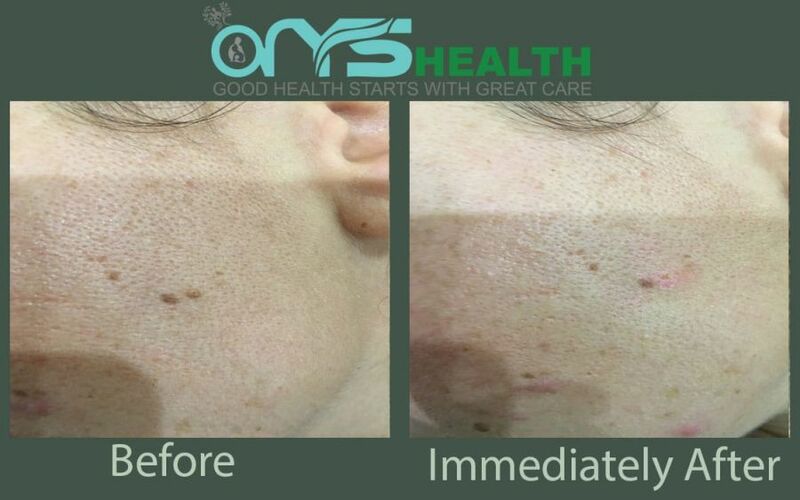 Usually, the downtime for the face is shorter than rest of the body due to a better blood supply. 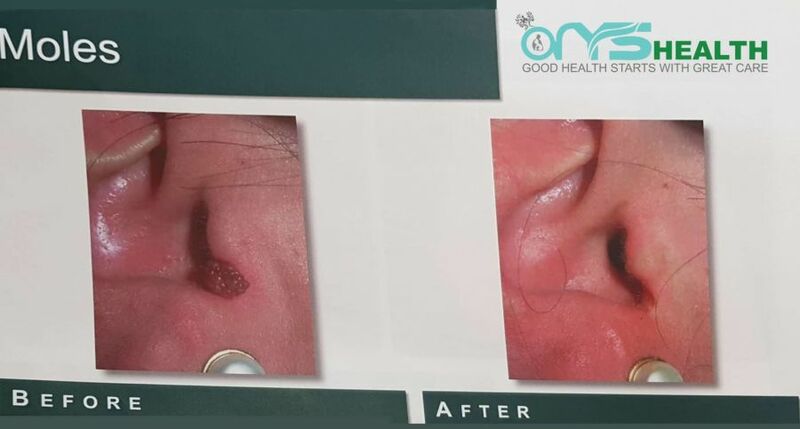 We use radio frequency technology that seals the skin as it cuts away the mole or skin tag lesion and similar lesions from any area of the body. 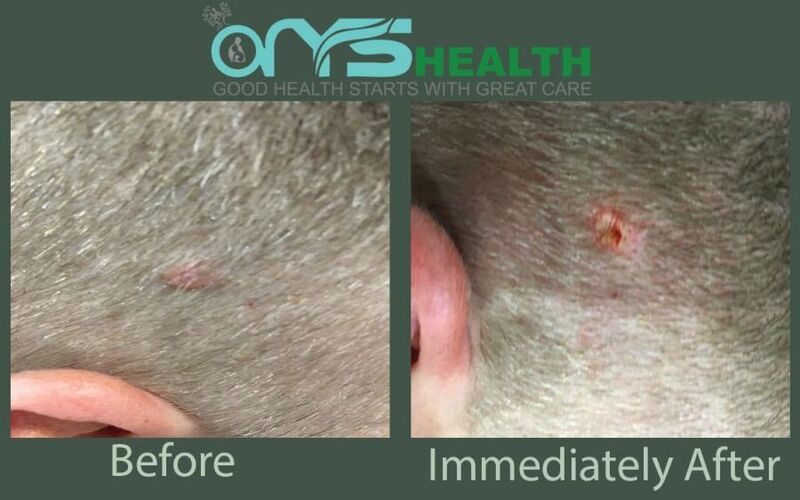 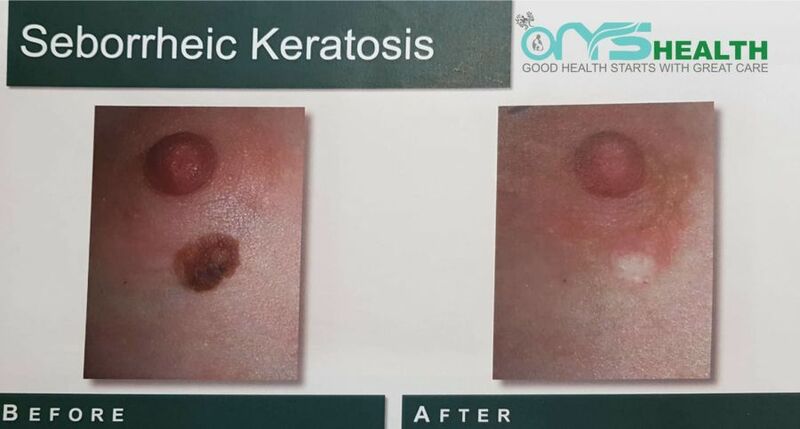 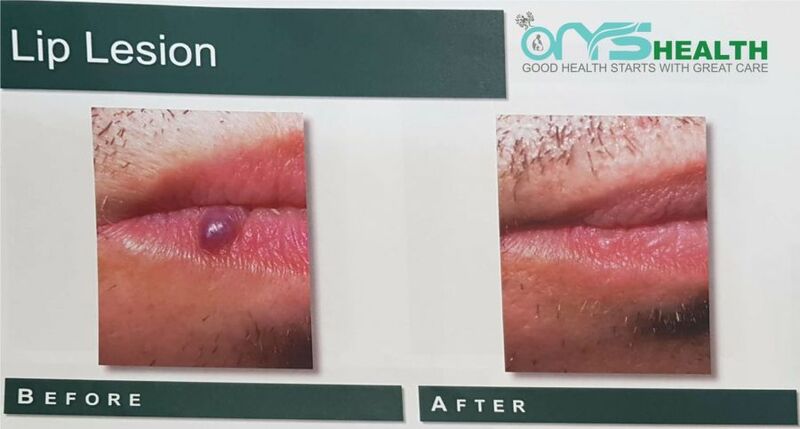 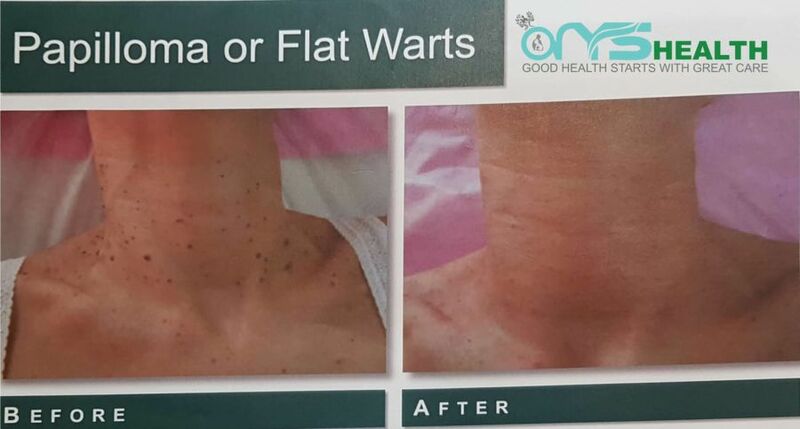 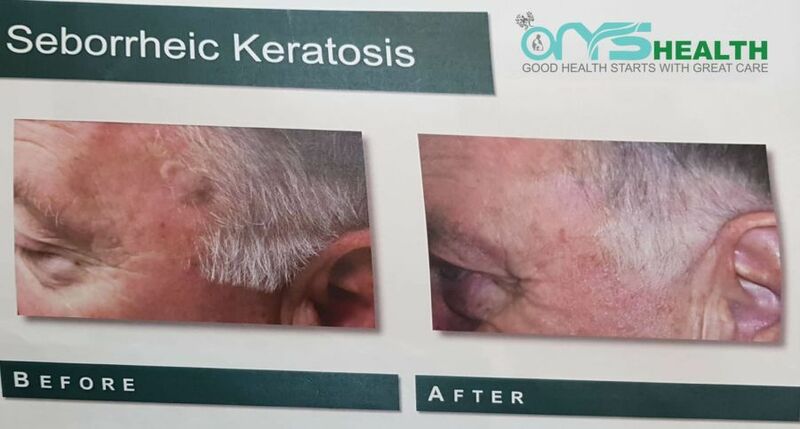 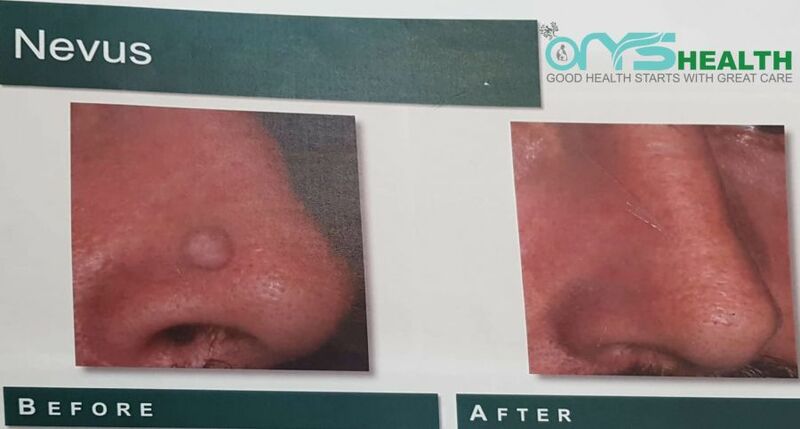 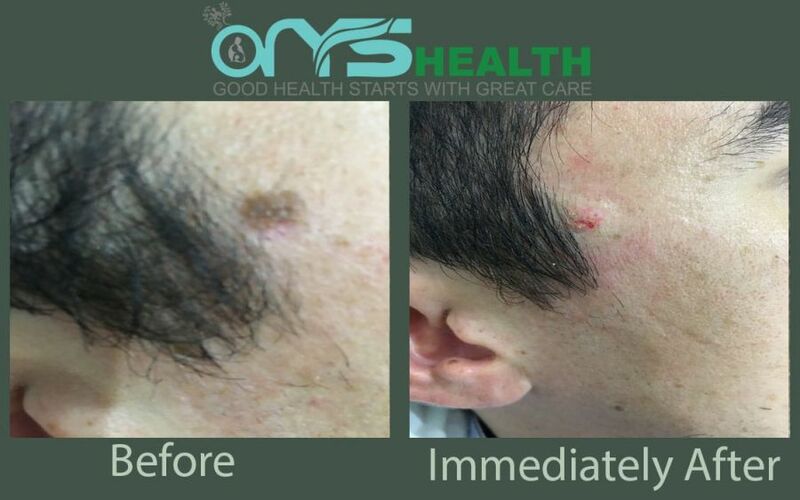 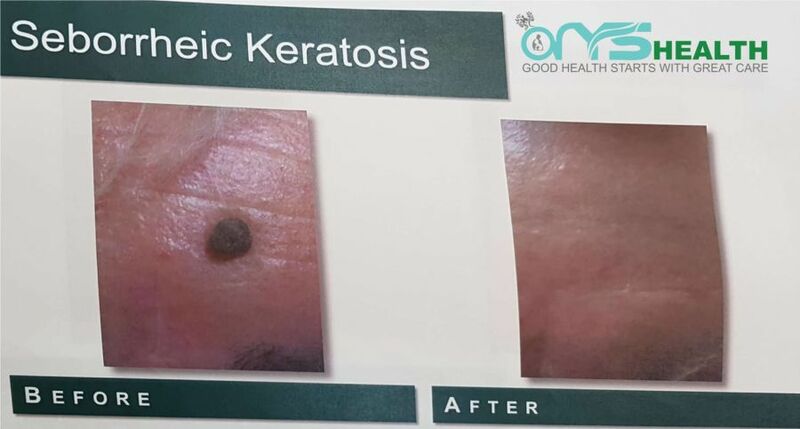 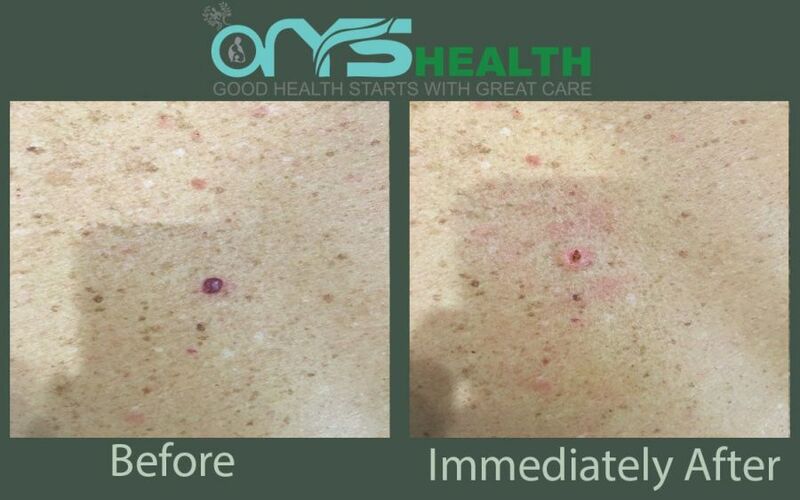 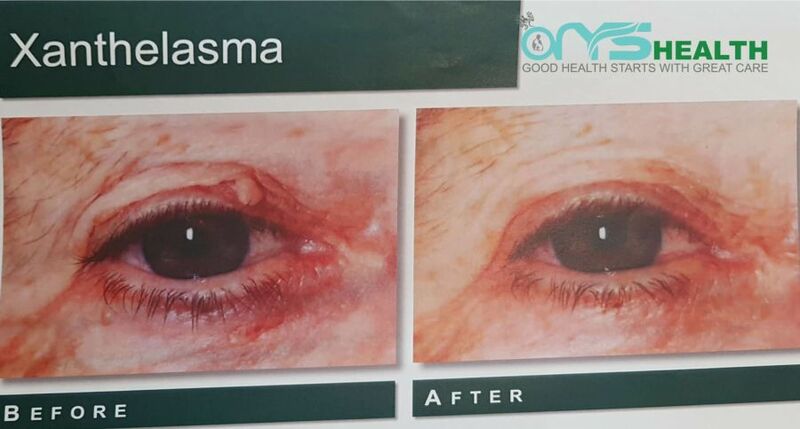 This method of mole and skin tag removal minimises bleeding and leaves a temporary superficial scab which falls off in a short time resulting in a smooth skin surface. 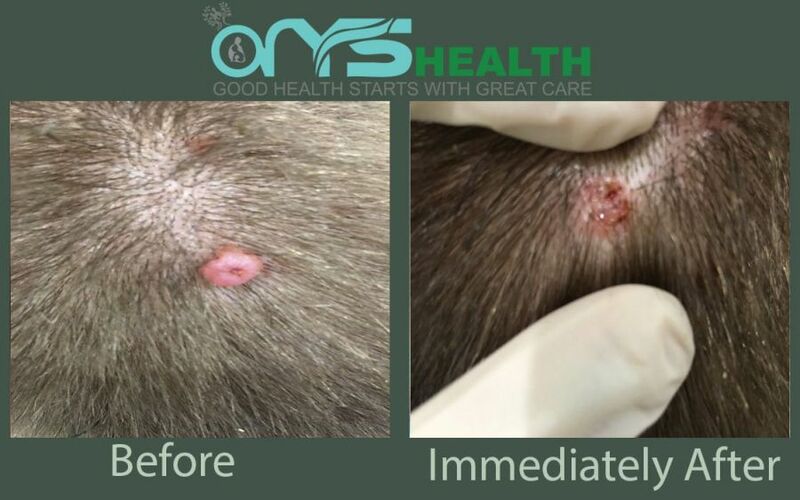 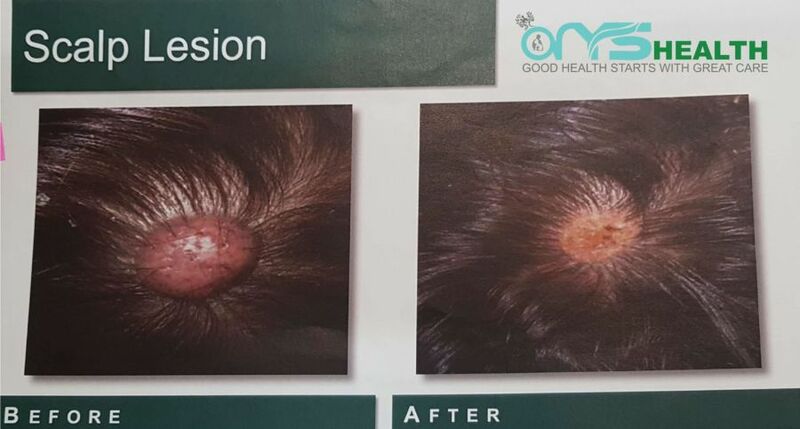 You need to come in for us to check the mole or skin lesions to ensure that these are not cancerous. 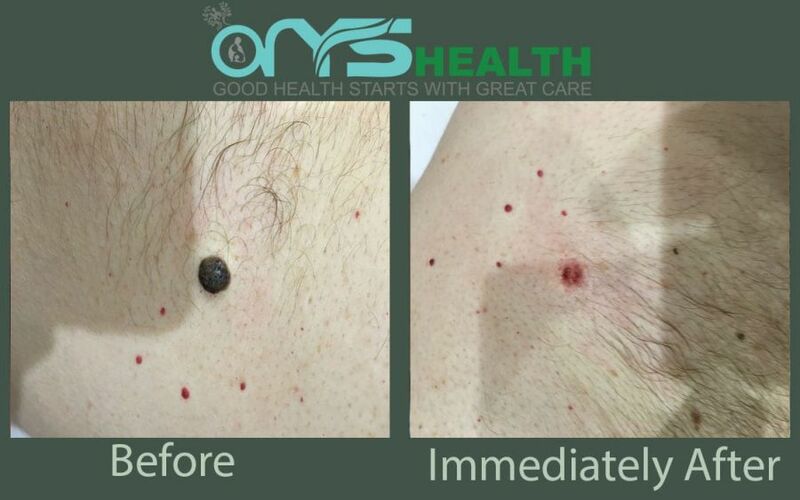 When required, we send the mole to be examined for histopathological confirmation. 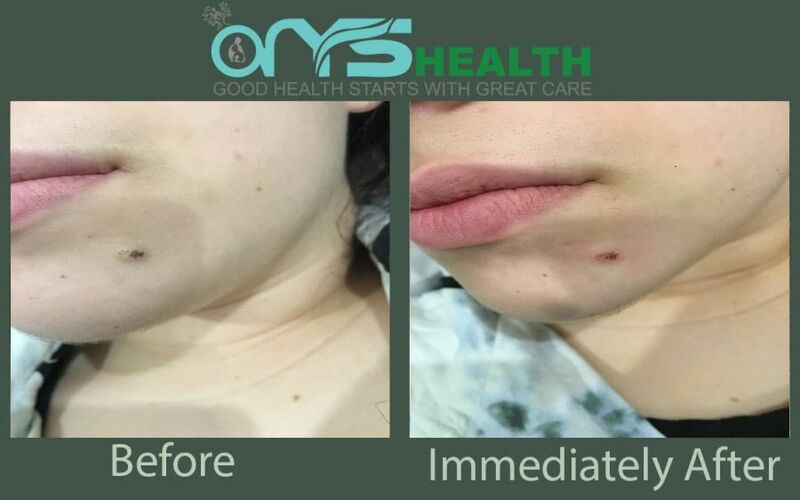 Please note that we only treat patients at the age of 16 and over. 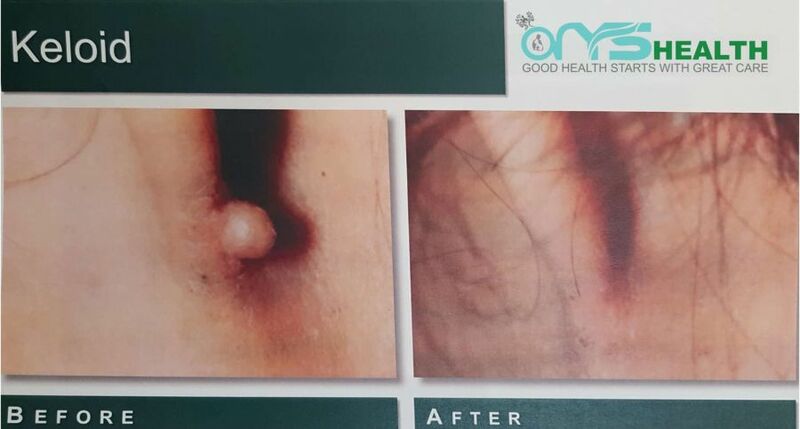 The natural healing process normally takes anywhere between 7 to 10 days. 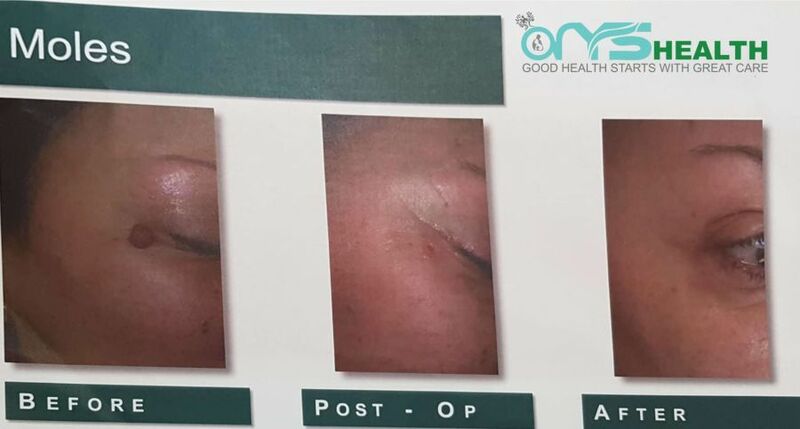 There is rarely any scarring at the treatment site. 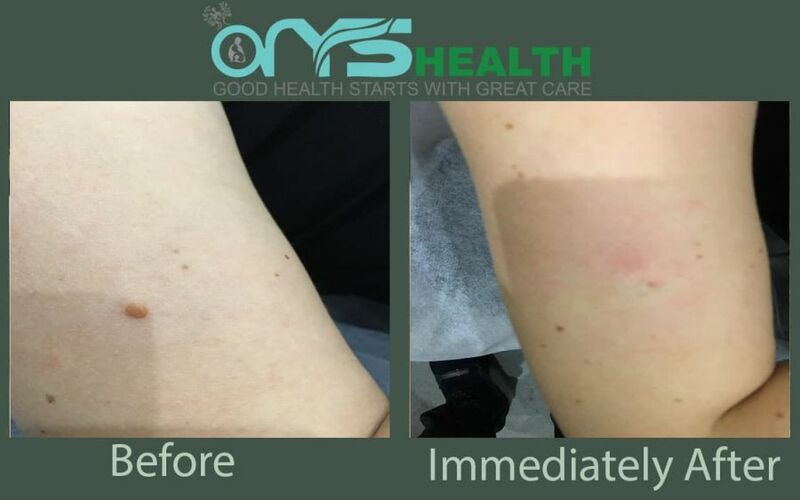 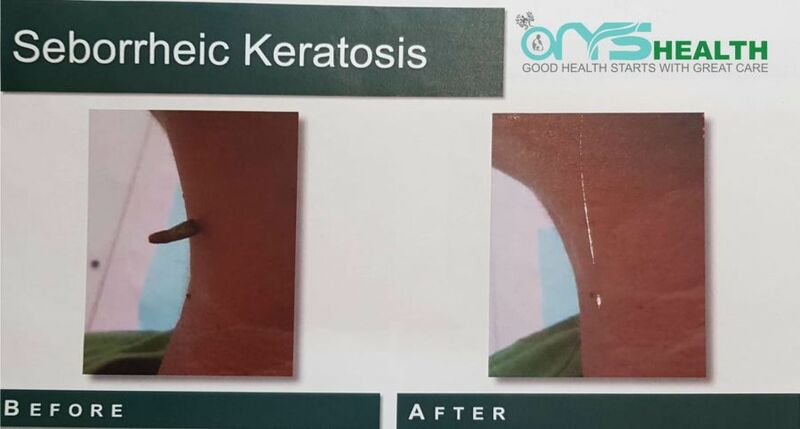 There may be a slight color difference in the treated skin (compared to the surrounding skin) but this fades over time when the skin’s normal pigment has been restored. 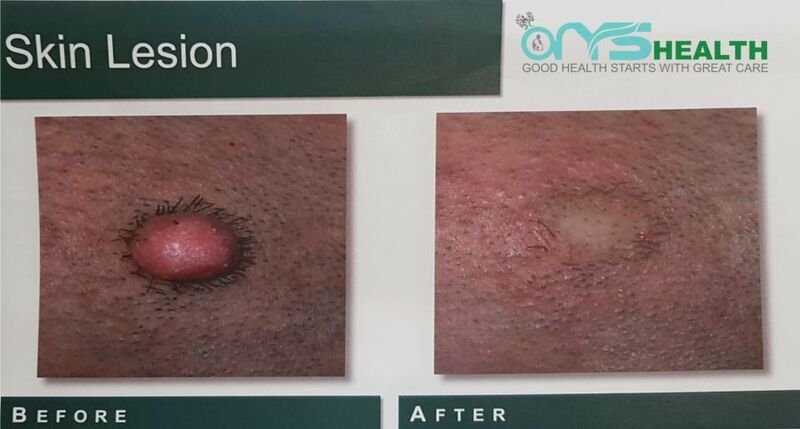 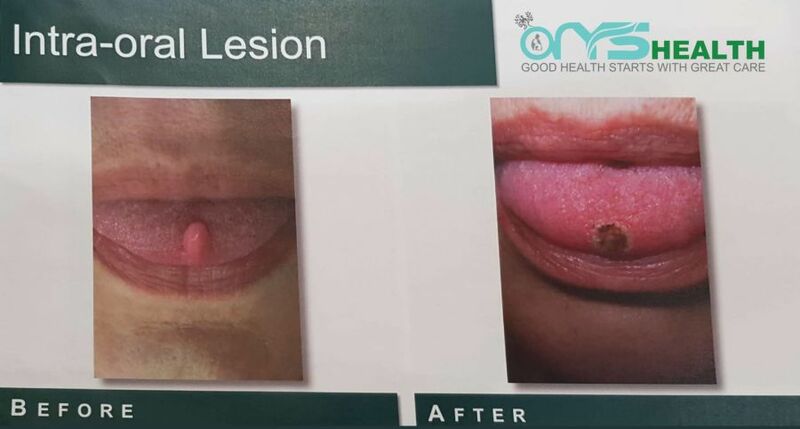 One treatment is sufficient to remove each lesion. 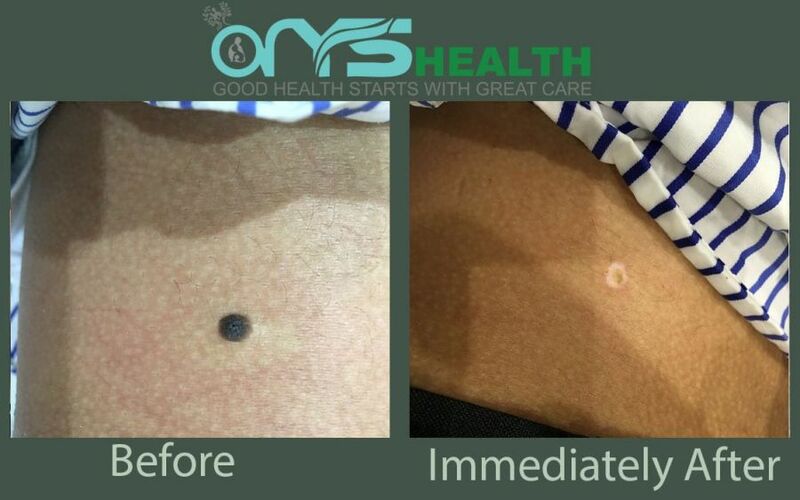 Sometimes the mole is embedded deeply in the skin. 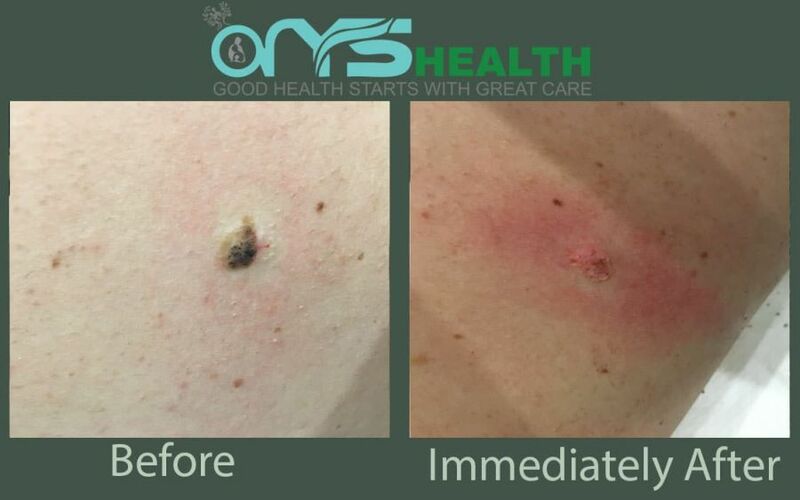 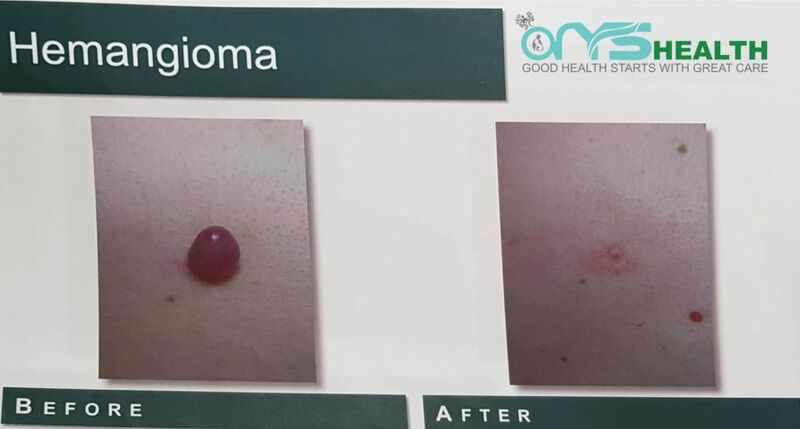 In this case, we take most of the skin tag out and re-do the mole removal when surrounding connective tissue pushes the mole towards the surface of the skin. 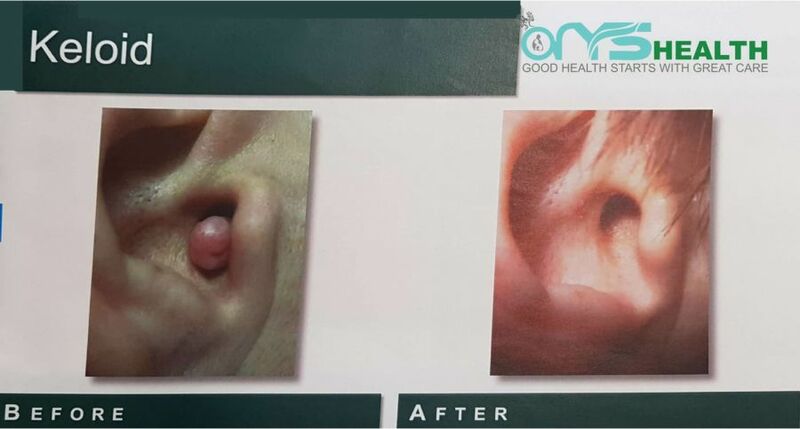 In most cases, the follow-up treatment does not result in any additional cost to our patient.